Sometime last month I found my way to this much-lauded restaurant with high expectations. Pramerl & the Wolf had a reservation line-up that was unbelievable. 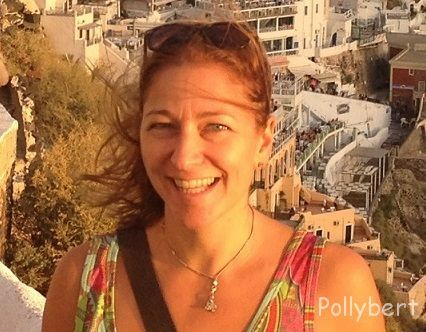 We used the online booking system and while debating on which day to go, that day had been long booked. In the end we took the next available table which was in two months time. While the booking system is not the greatest when it comes to dining at 8pm, it’s more efficient if you’re flexible enough to come between 6-8pm. But however long the wait the expectations were more than fulfilled. 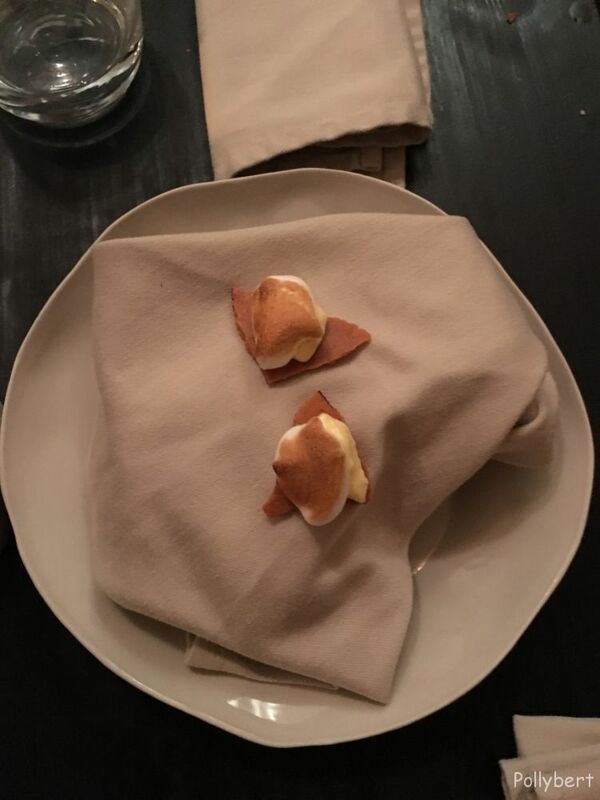 The concept is simple, you can choose from four to seven courses, tell them your dislikes and off you go. It’s all a surprise from here on. 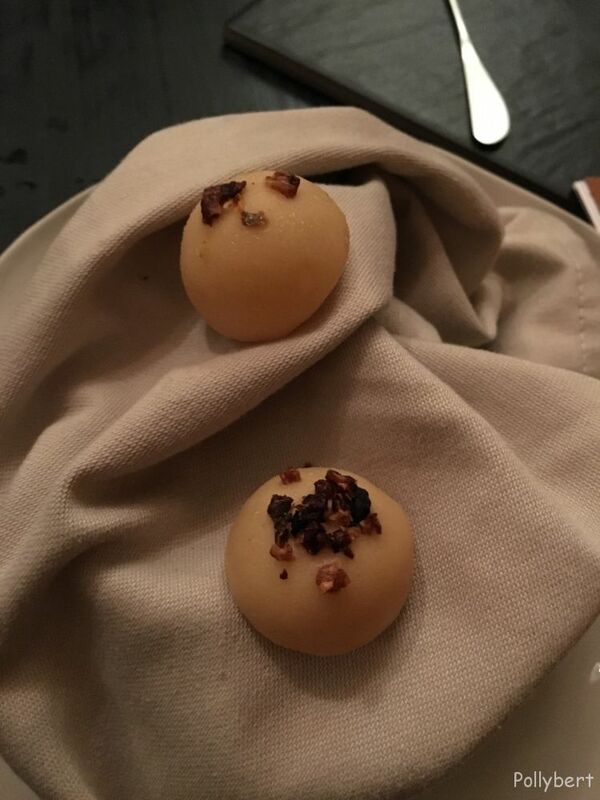 We started with a compliment from the kitchen, a celery praline. Thankfully we were told to eat it all at once and not take a bite because the inside it was filled with liquid celery essence. I am not sure what exactly the shell was made of, it just melted perfectly in my mouth and not in my hand. 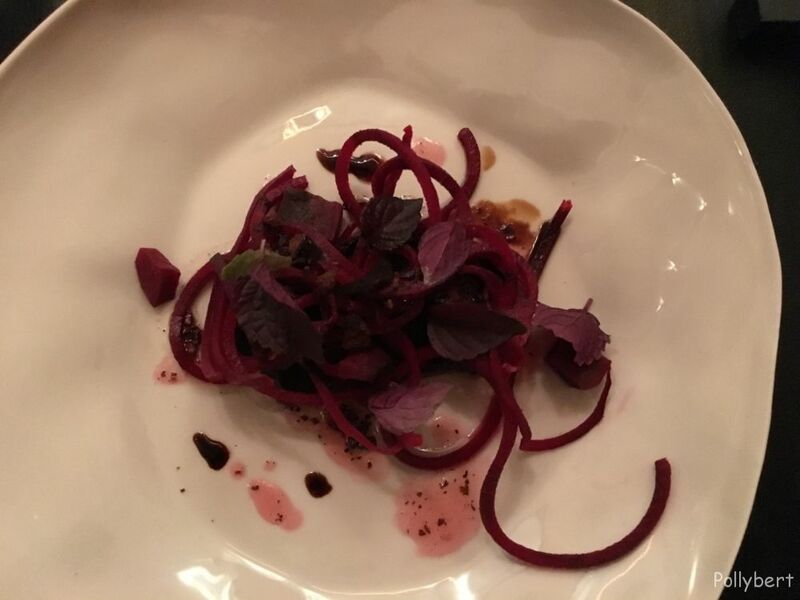 As starter we had red beet in three different variations, smoked, pickled and roasted. It tasted great although I couldn’t detect all the promised effects. For the next course we had different dishes since my friend was not eating fish. 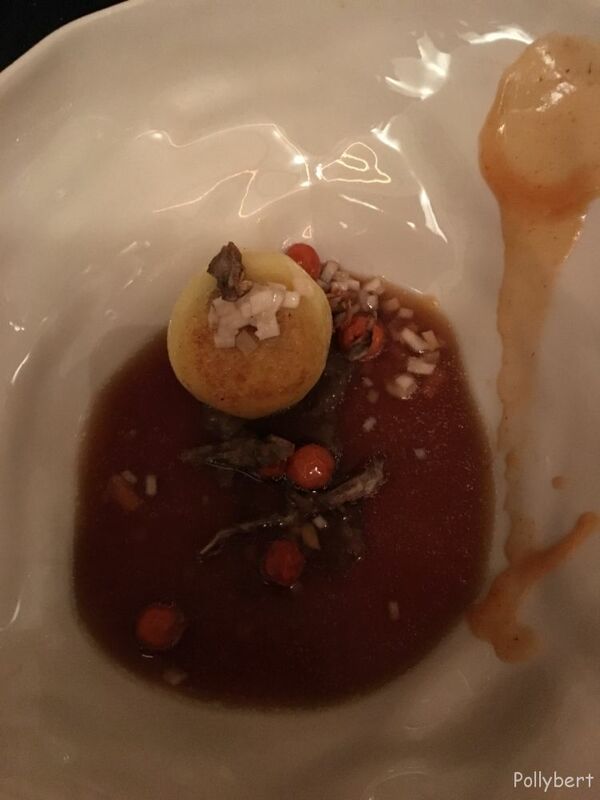 She got a venison soup with a small dumpling stuffed with said venison. While I had mackerel with kale. Sounds terrible but tasted excellent. 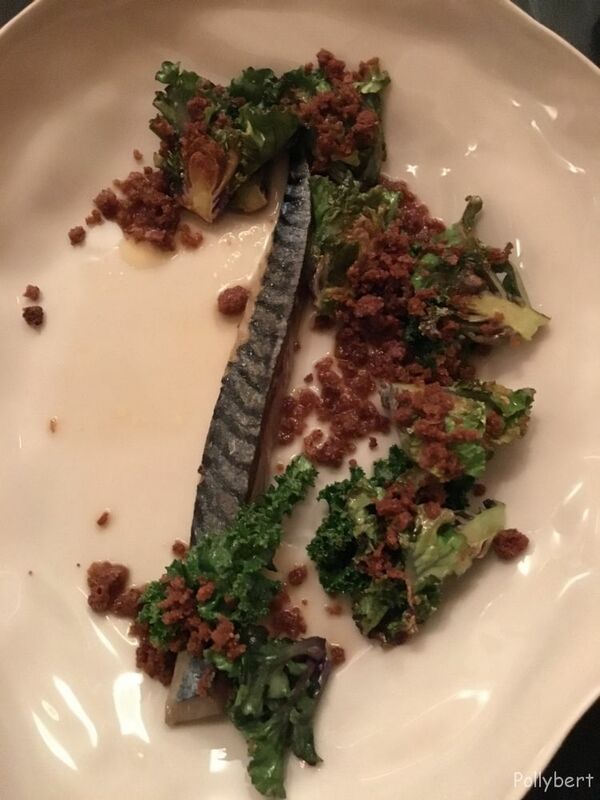 The fish was tender and delicious while the kale was fried and had a dry and crunchy texture. Then we had already arrived at the main course which was the same for both of us again. Wild pork loin roast with mashed potatoes, leeks and onions and some kind of pickled garlic. 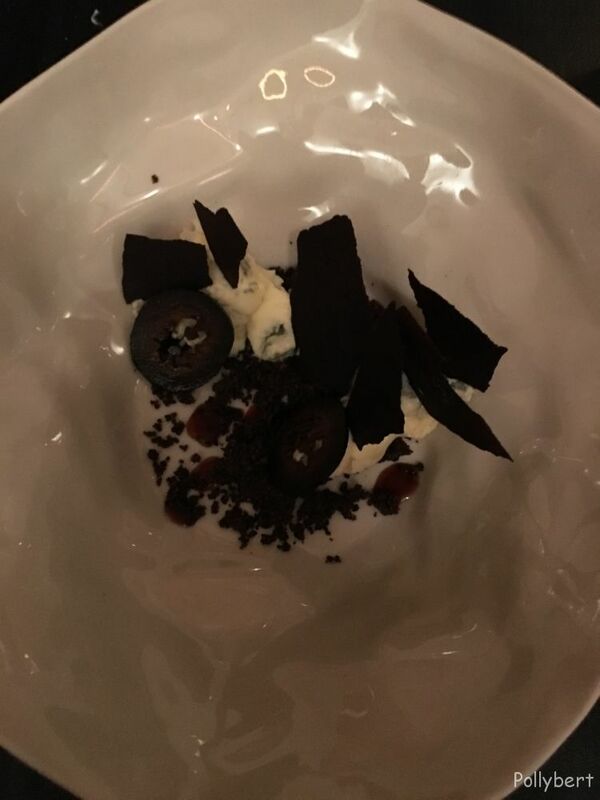 That is the black stuff on top of the plate. The meat was just right, juicy pink with a perfectly seared crust and the potatoes creamy. Every bite one small piece of heaven. For dessert my friend took the cheese course while I of course needed something sweet. The blue cheese was hidden behind a bit of black stuff, which turned out to be very savory bread and black walnuts. 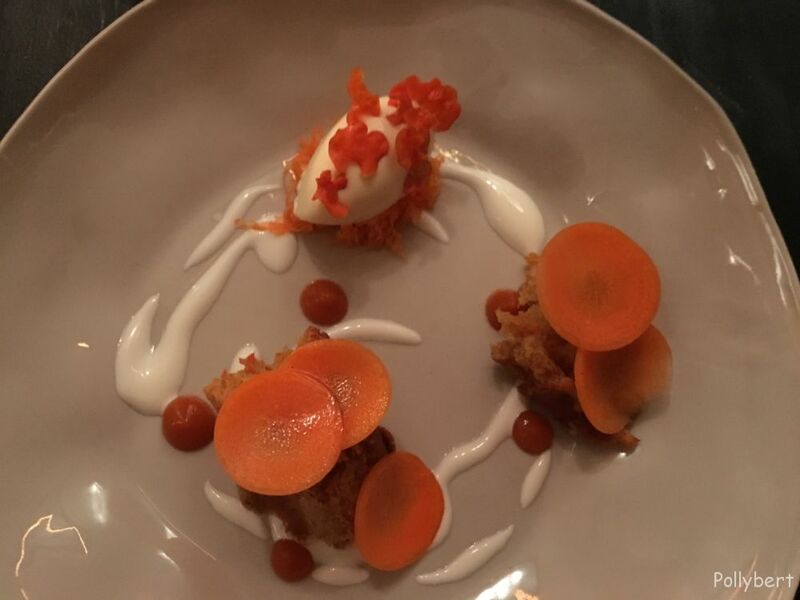 The dessert was a combination of carrot cake, sweet pickled carrots and sour-cream ice cream. The combination worked well and while it’s not something I would usually order, I am glad that at the Pramerl & the Wolf you just get surprised. Always an excellent way to taste new things. For the finish the kitchen had one more ace up its sleeve, a bite of lemon meringue cake which made the whole experience all the more memorable. Absolute bliss! 9. 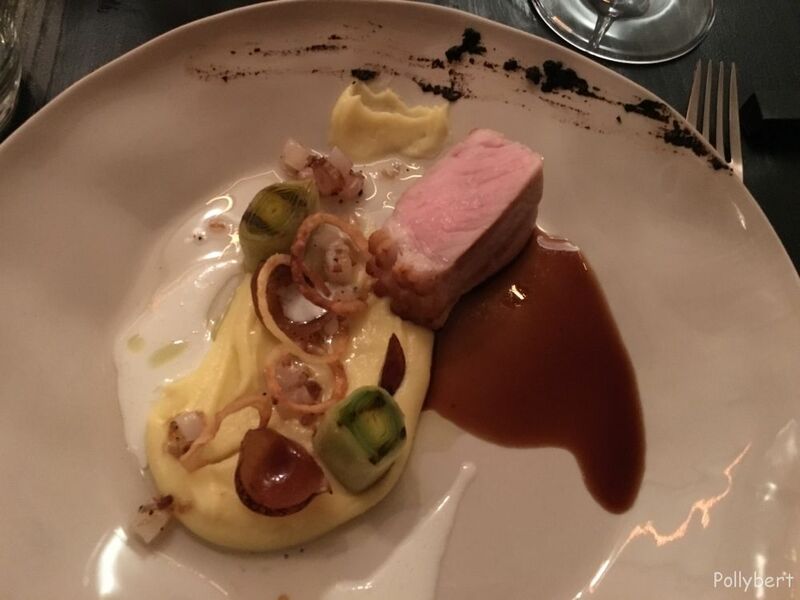 Bezirk, Austria, dining in Austria, dining out with friends, fine dining, local food, michelin star restaurant, restaurant review, Vienna, Wien. Bookmark.